Boarding fees and donations are the primary ways we raise money towards our extensive veterinary and animal care expenses. 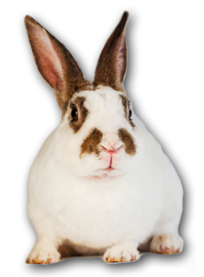 You can feel secure about the quality of care you bunny will receive and also know that you are supporting a good cause. Boarding is home style, so drop off times are typically between 9am and 6pm. We will do our best to accommodate you at other times on a case-by-case basis.